1. Redesign The Preppy Scientist. 2. Start playing the piano again. As you can see, I didn't even get through half of the items. This is partially due to my 'goals' being somewhat lofty and partially due to my tendency to abandon all ships when things get stressful. 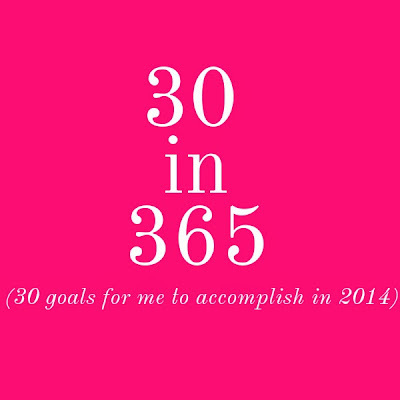 So with that said, I will be doing 30 in 365 again - but it will be different. I've planned out 30 realistic goals and have a plan for each one. Putting this list out into the universe will hopefully make me more accountable to get everything (or most things) done. I think this list is challenging but slightly more realistic than last year's. This new list can be found on the same 30 in 365 page as last year. I'm pretty excited for what 2015 has to offer and can't wait to share it all with you! I always look forward to 'Oprah's favourite things' for reasons that I really cannot explain. It's just really interesting to see what clothes, beauty products, accessories and entertainment others use and are inspired by. Though I am not Oprah (sigh) I have put together a visual list with my favourite things of the year! 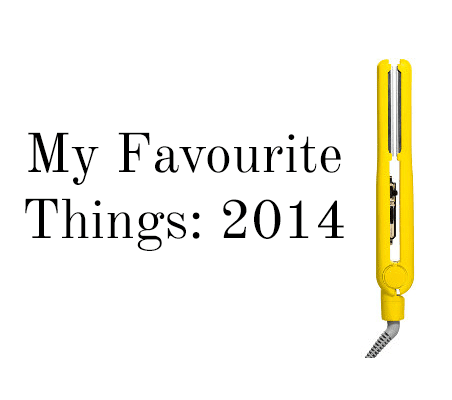 What were your favourite things this year? New Years Eve is only a couple of days away, which means it's time to get dressed up and ring in 2015! Today, I have an assortment of New Years related ideas that will make sure you are celebrating in style! Don't forget about the cocktails and hors d'Oeuvres! Last but not least, the entertainment! Sequined Photo Booth - Oh Happy Day! This fun New Year’s Eve party games generator was created by greeting card company Tiny Prints. It features fun filters like adults only, kid-friendly, trivia, icebreakers and more so you find the perfect game for your party. Definitely a life saver if you are in a bind for entertainment ideas! I'm so glad that Spotify made it's way to Canada! You can find or make a playlist for any mood or occasion! Create a fun playlist of radio hits and your favourite songs! You and your guests will be signing and dancing into the new year! I hope you feel inspired to have the best NYE celebration ever! Last Minute Gifts for Everyone! If you've left your Holiday shopping until the last possible second, don't fret - it's still possible to find awesome gifts that your loved ones are sure to appreciate. Many stores are offering overnight rush shipping (wouldn't recommend) and order online, pick up in store (would recommend) promotions. 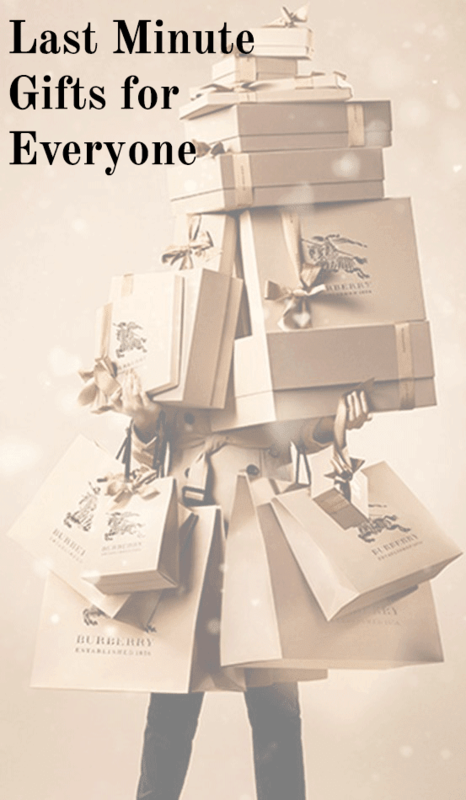 The key to last minute shopping is knowing exactly what you want to get, making sure that it is still available and buying it. There is no time for flip-flopping. If you don't know someone's clothing or shoe size opt for something electronic or accessory related. If you absolutely have no idea what to get for someone on your list, a gift card - while less meaningful - is probably the best way to go! I put together a few items that I think would be great gifts and available in store! Remember that this season is about giving and spending time with loved ones. 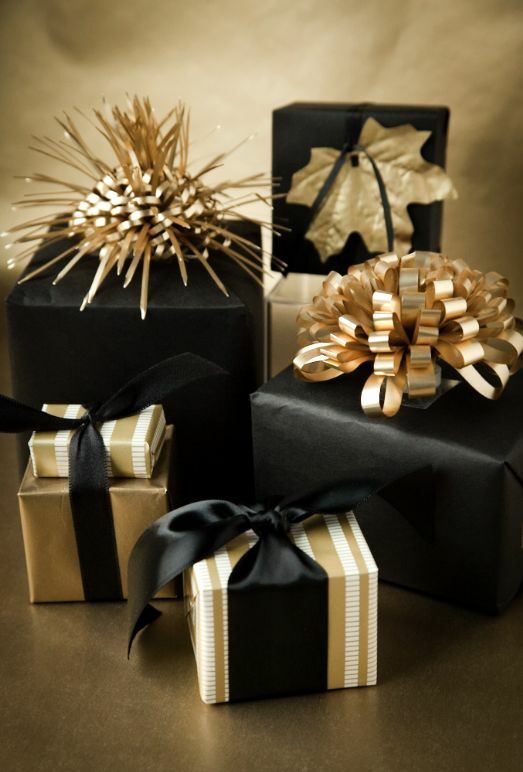 If you can't find the 'perfect' gift...don't worry! It really is the thought that counts! I haven't made a playlist in a really long time! 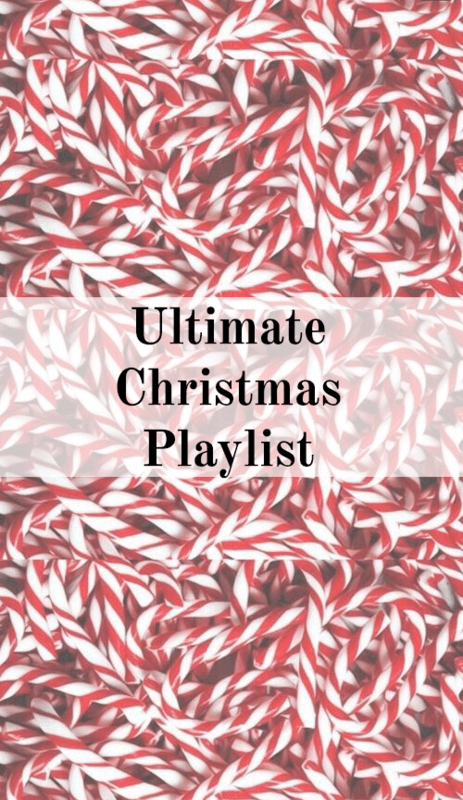 I definitely plan to get the playlist posts back into a regular rotation in the new year, but until then - I've put together a massive Christmas song playlist! There are classics, covers, and new favourites included in this party perfect playlist! Just hit shuffle and let the music play! You can listen to the playlist on Spotify! 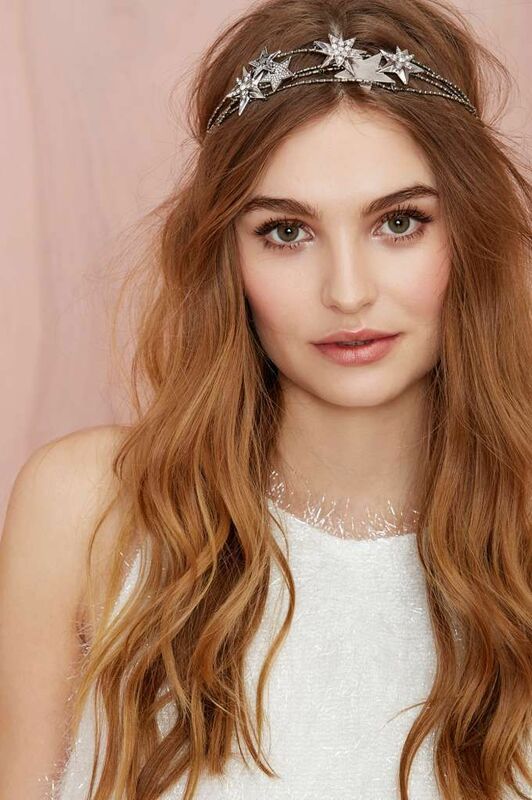 The holidays are a great time to try out a new hairdo! Now is definitely the time to go all out and make a statement! I have a secret Pinterest board with hairstyles that I love but can't necessarily wear everyday (very specific...I know). They're elegant, fun and outside of my comfort zone! 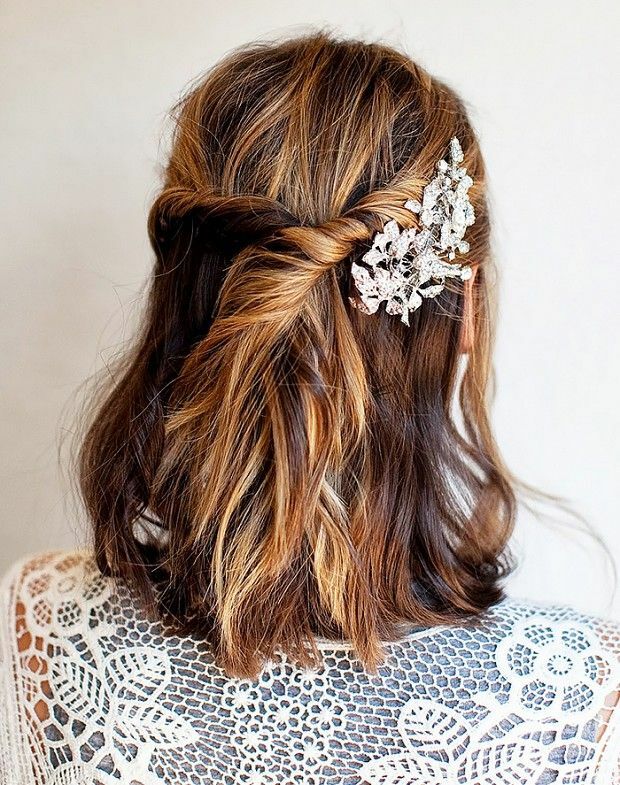 Are you trying a new style this holiday season? Stocking stuffers are fun because they don't require too much thought or effort. See something fun and small? Make it a stocking stuffer! How simple? You could also go for practical gifts (like socks) or gag gifts! If you're short on ideas I put together a guide for her and for him to help you out! 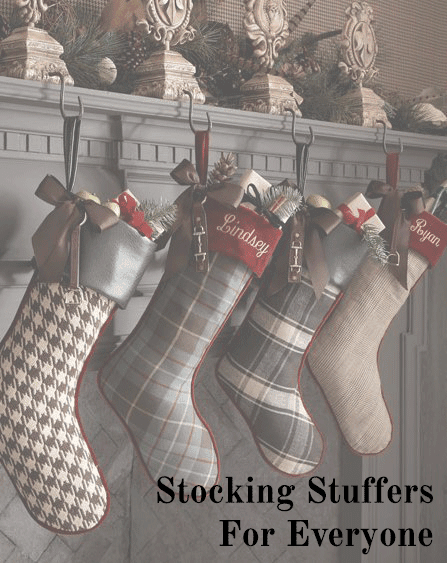 Each guide has 30 stocking stuffers varying in price! We're about a week away from Christmas, which is totally crazy to think about! 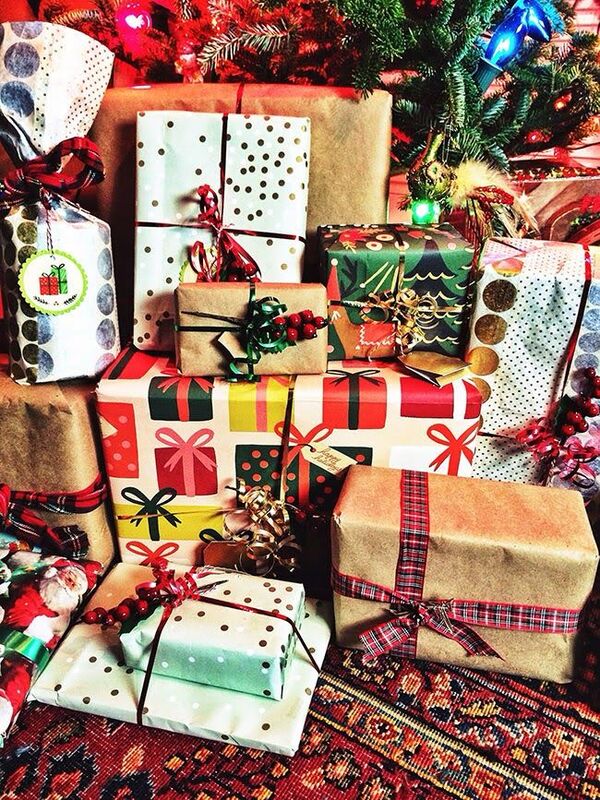 Hopefully you are done or almost done all of the shopping you have to do, and are ready to wrap some gifts! 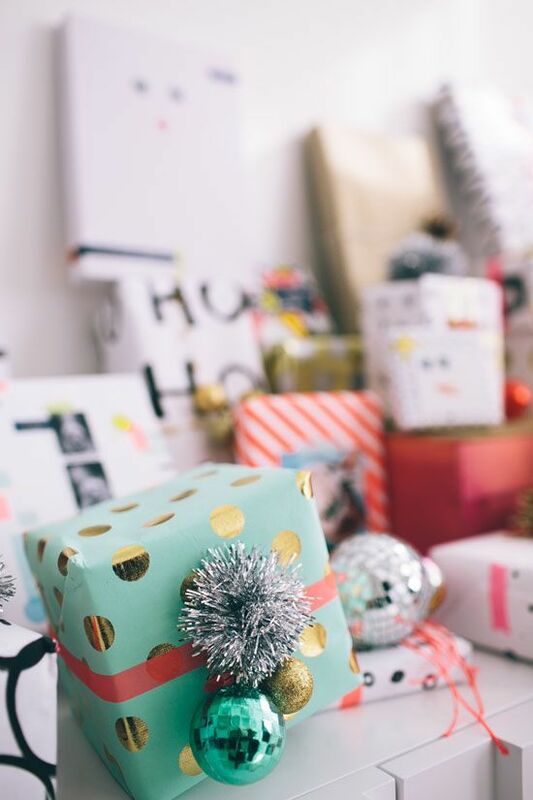 Pinterest has some really awesome gift wrapping ideas! 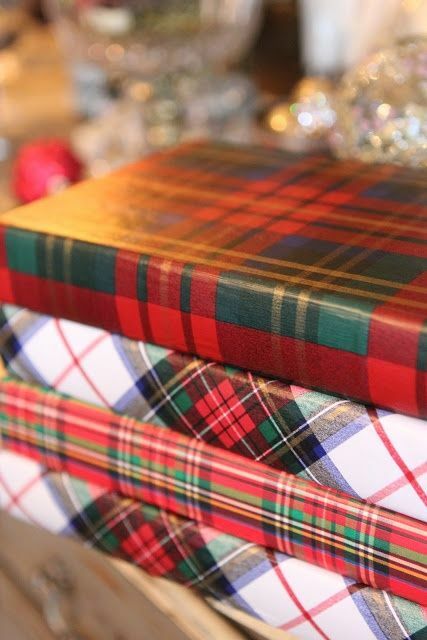 I think fun gift wrapping is great because it just adds more excitement and mystery to gift giving! Shop gift wrap, cards and trimming! PS: You can check out all of my Holiday related posts here and look forward to more over the next few days! 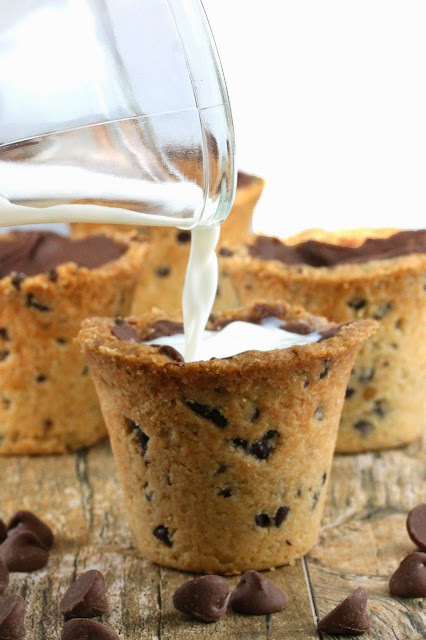 Holiday Recipe: Cookie Shot Glasses and Milk! 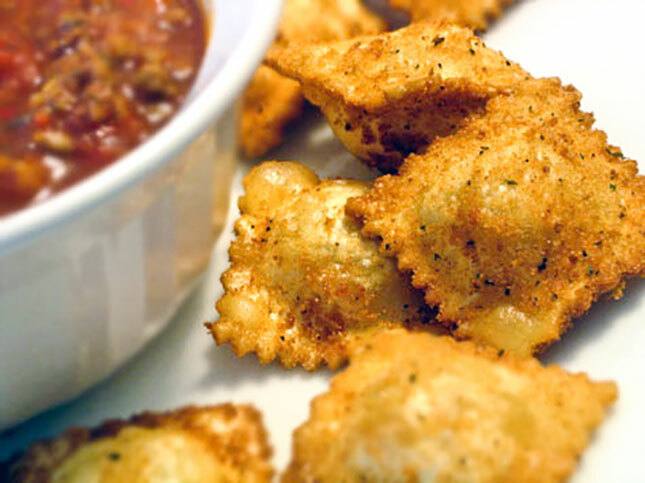 I saw this recipe on Pinterest and knew that I had to share on the blog! 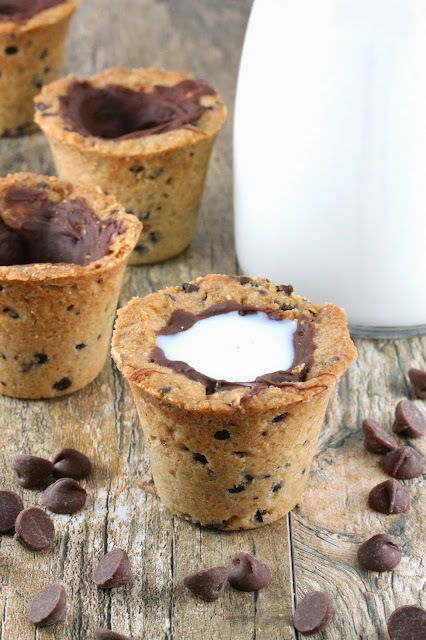 Cookie shot glasses with milk is a very ingenious idea.These would be great as a dessert at your next Christmas party! 2. In a large mixing bowl, use a hand mixer to beat together shortening, brown sugar, and sugar. 3. Add in the egg, vanilla extract, and salt and mix until smooth. 4. Stir in flour. The mixture will crumble, but will hold together when pressed. Stir in mini chocolate chips until combined. 5. Scoop mixture into popover pan and press to the bottom and sides, making sure to leave a hole in the middle for the milk to go later. 6. Bake in the preheated oven for 18-20 minutes until cookies turn golden brown. 7. Carefully remove the cookies from the popover pan. This can be done by placing a large cutting board or pan over the popover sheet and flipping it over. Gently tap the bottoms of the popover cups to loosen. Let cool completely. 8. Carefully melt the remaining 1 cup of chocolate chips in a microwave safe bowl by microwaving for 15 seconds at a time, removing and stirring, until chocolate is melted. 10. Refrigerate until chocolate is set. Serve by filling the "cups" with milk and enjoy! Surprise! I'm posting on a Sunday! This is because Kate Spade is having a nice little sale right now! Everything included in this sale is under $99, which is great if you still need to get some gift shopping done! Everything is also going to come gift wrapped for your convenience! Click below to go to the sale! 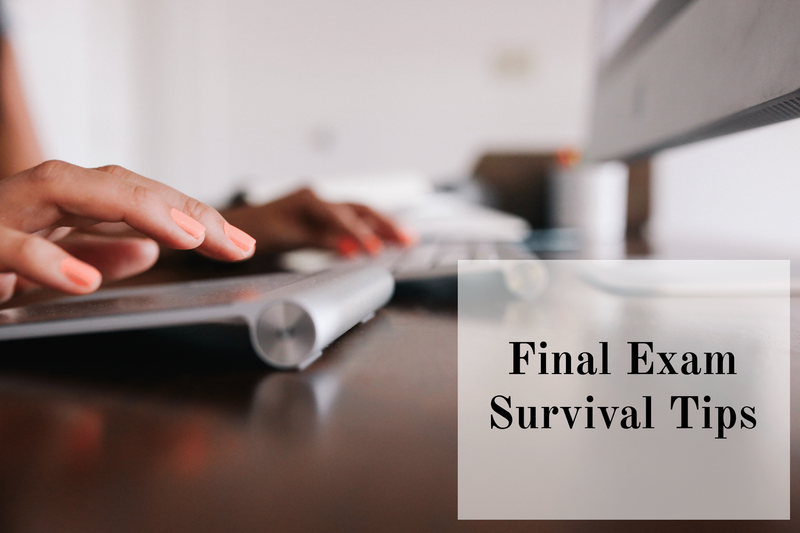 Down To A Science: Final Exam Survival Tips! Final exams are very, very, very stressful for students. There is tons of information to review and seemingly not enough time. This is definitely a time where it's easy to let yourself go. Fast (junk) food, coffee, energy drinks, and no sleep is a recipe for disaster. Not to mention the urge to wear sweatpants or pajamas to school! Sadly, I am very far from mastering exam season like a pro - but I have some tips that will make this time more bearable! It's easy to enter starvation nation when you've got to cram 5 chapters by morning - but don't! Take a break once in a while to eat a nutritious meal. Your body will thank you - and you will most likely end up retaining more of the information that you are studying! Your brain needs food! This is very, very hard sometimes, I know - but it's very important! Students need around 9 hours of sleep per night. This is the time where your body repairs and refreshes itself, so it's important not to skip it. Sleep is also thought to help you process and retain information, so instead of chugging another energy drink - hit the hay! This is something I am guilty of not doing! During final exam season, I feel bad if I'm doing anything but studying. It's really important, though, to take breaks. If you're stuck on a concept or question, take a break by meditating or taking a brisk walk. These activities will clear your mind and help you tackle challenges with a fresh pair of eyes! I am a firm believer in the saying, "Dress for the job you want, not the one you have." This mentality can be applied to the way you get dressed for study sessions or the test itself. Comfortable and chic do not have to be mutually exclusive and chances are you will feel more confident if you look your best! Jeans, a button up and a neat ponytail do not take much effort and will definitely make you stand out among your pajama clad peers. I know this is a stressful time - but we can get through it! Every time Kate Spade releases new arrivals - my bank account cries. I am always so impressed by how simple yet chic the items are. The items in this set of new arrivals are space/sky themed, which means lots of blue, purple, white and glitter scattered throughout! It was very hard for me to narrow down the entire collection to a few favourites, so I didn't! I am largely inspired by Elaine Welteroth's hair. Elaine is the Beauty and Health Director for Teen Vogue magazine - and the shoe totally fits. She always looks super chic and naturally put together. I am very jealous! We have a similar curl pattern and hair texture, but she manages to make her hair look fabulous and I do not. She recently went for a really short look, which I do not have the confidence to pull off - but I love the way it looks! I had similar highlights done a while ago to cover up some grey hairs and I loved them. Since then the highlights have grown out and the greys are back - so I'm longing for a touch up. I think I may just have to print these pictures, bring them to my hair dresser and tell her to go wild! So. Obsessed. Do you have a hair idol? This week felt super long! It's finals week and I have 4 to write this semester! I will still be posting regularly, since I will definitely need a study break here and there. Here are your weekend links! I'm super into the films that high end brands have been releasing! They have stunning cinematography and the concepts are a lot of fun. I love this video by Chanel - especially the cute little performance toward the end! This video is just fun. I don't think it will catch on as a classic Christmas carol, but it is hilarious! I didn't know that Kristen Bell had such a beautiful voice! I am obsessed with Pentatonix! They are all I can talk about right now. Their version of Silent Night is STUNNING and I've had it on repeat for the past few days. Definitely check out the rest of their videos on YouTube! I love the Winter clothes that J. Crew has right now! There are lots of great items that would make great gifts! I really love the use of bows and scallops this season! I cannot wait until exam season is over so that I can watch Christmas movies all day and night. I head that ABC is running a Christmas movie marathon, and even though I'm just going to catch the end of it - I'm still so excited! 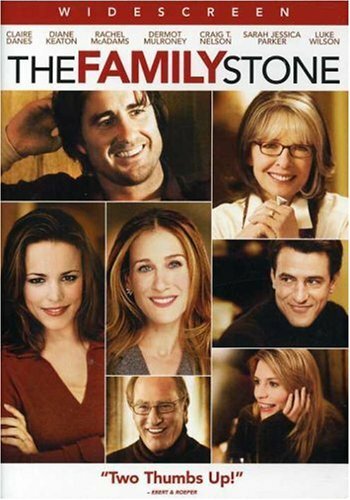 The Family Stone - This isn't a Christmas movie per se, but it's set at Christmas time. I love this movie because it's hilarious and almost everyone can relate to the straight up dysfunction in this family. Perfect to watch if you need a good laugh! Love Actually - This movie is a classic Christmas film. The ultimate rom-com if you ask me! The story lines range from hilarious to downright heartbreaking. Truthfully, I watch this movie all year round - but for some reason it's much better at Christmastime. Elf - I don't really think I need to say much about this one! It's the ultimate Christmas movie! 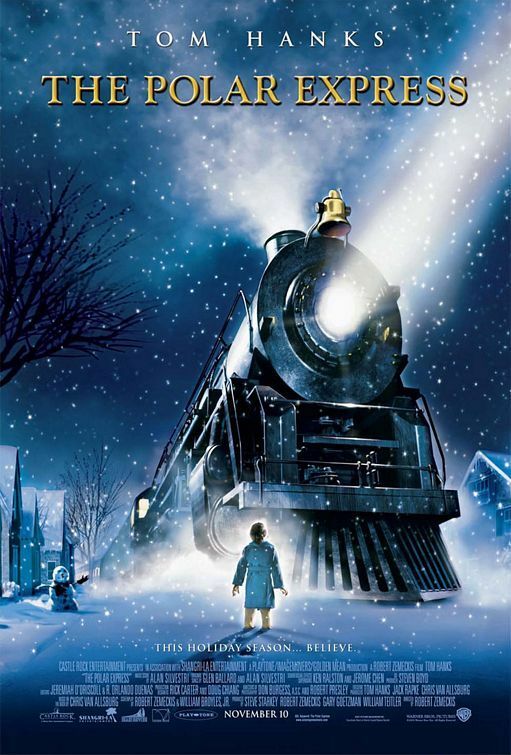 The Polar Express - I love this movie because I grew up reading the book at Christmas every year. The animation is simply stunning and I just feel all sorts of nostalgia with this movie. I do love the classics as well (Home Alone, Miracle on 34th, How The Grinch Stole Christmas...) but I would be quite content watching the four listed above on repeat, all day long! What are your favourite Christmas movies? I love Christmas parties! Being surrounded by Christmas music, friends and food is a great way to relieve some of the stress that is unavoidable during this time of year (Final exams...no thanks). Another thing I love about Christmas parties is Secret Santa. I love shopping for other people and trying to keep the secret, well....secret is equally as fun! If you have a bunch of parties to attend this season, you may not want to spend a ton - but not skimp on quality. 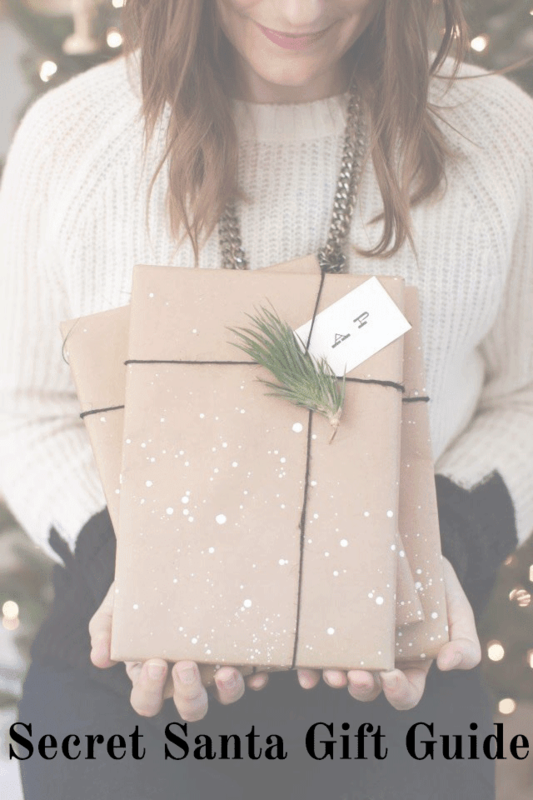 I've put together a fun gift guide of items that would be perfect for your next gift exchange. Everything here is under $50 with most being under $30! This post was initially made in June, but now that we've entered December I thought this post would be a great refresher for upcoming Holiday parties! I've noticed that many people my age are terrified of formal dinner settings. Perhaps it's the abundance of plates, cups and silverware or the fear of making a mistake. 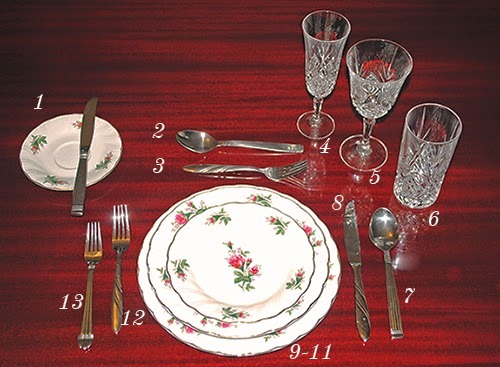 In reality - it's quite simple to navigate your place setting, especially after a bit of practice! While some people may feel that dinner table table etiquette to this extent is antiquated - I think it's a timeless skill to possess! 1. Bread plate and butter knife. Don't make it a habit to cut your bread with the butter knife. Instead use your hands to break it into small pieces and butter it with the knife. 2. Dessert Spoon. This is used only for dessert. 3. Dessert fork. Same idea as the spoon. Now, the general rule of thumb for silverware is to work from the outside in. So if you're lost - start there. Another point of confusion may be what drink ware and which bread plate belong to you. A neat little trick is to make the letters b and d with your hands. As you will see 'b' is made with your left hand - therefore your bread plate is on your left. Likewise, d is made with the right hand, which means your drink ware is on your right (how easy?!). This really is just the tip of the iceberg but, I hope it helps you feel more confident at your next formal event!